2012 has brought significant changes in the Western half of Europe,regarding the market for photovoltaic (PV) systems. Due to the dynamic appearance of the Chinese solar panels and to the saturation of the developed markets, the market price of products decreased by leaps and bounds, which caused serious tensions especially in the American and Western European solar markets. The German production facilities, who dispose a forceful capital, are looking for new markets, principally in Central and Eastern Europe. The use of technologies in the local areas with special installations is more and more coming to the fore called "smart" solutions; for instance, concerning the local storage of extracted energy or its distribution. Hungary is still qualified as a new market in this rapidly changing situation in Europe, because considering its sunny hours it still has a significant potential. The supporting tariff system is required for a while feed in tarif, in parallel, the elaboration of the licensing and financing procedures as the guarantees are not ready yet, which originates an uncertain situation. 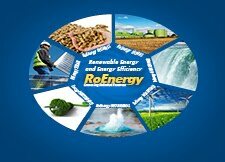 The 2nd Solar Conference will take place at the same time that the 7th RENEXPO® Central Europe. It will search the competent answers for these uncertainty factors, in cooperation with domestic and international solar associations. The conference deploys several international experts and industry-leading solar company's representatives, who will present the freshest trends without forgetting the real experiences.